Perfect for Father's Day and for the Football season, these matching personalised Dad and Child polo shirts make a great gift. 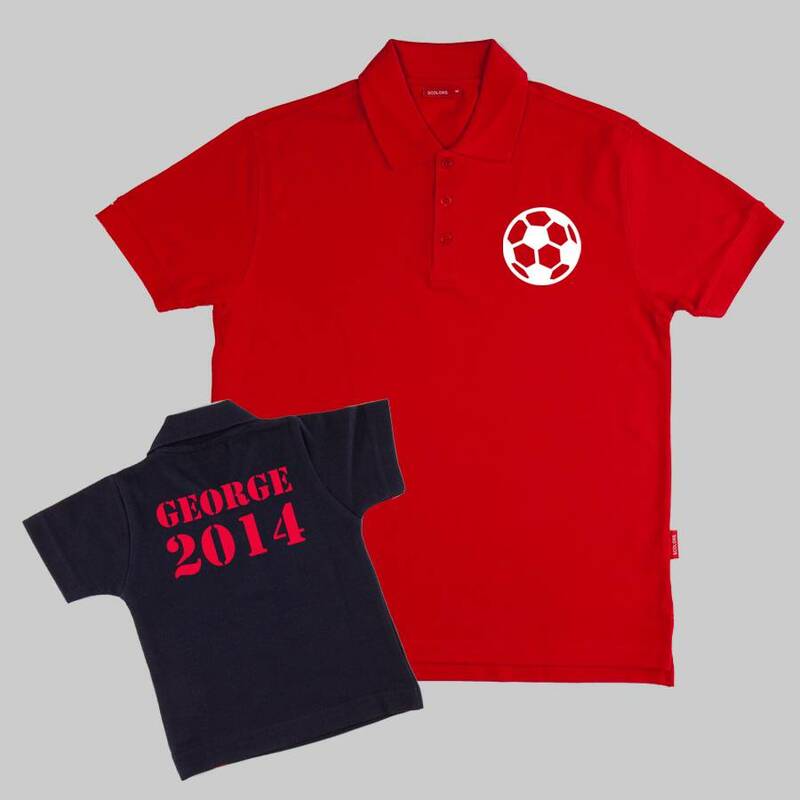 We love these matching Football Polo shirts, and we are sure any football mad family would love them too! Whether you are buying them as a Father's Day gift, or to support England in the World cup it doesn't matter! All that matters is that they will look great in their matching Polo shirts! 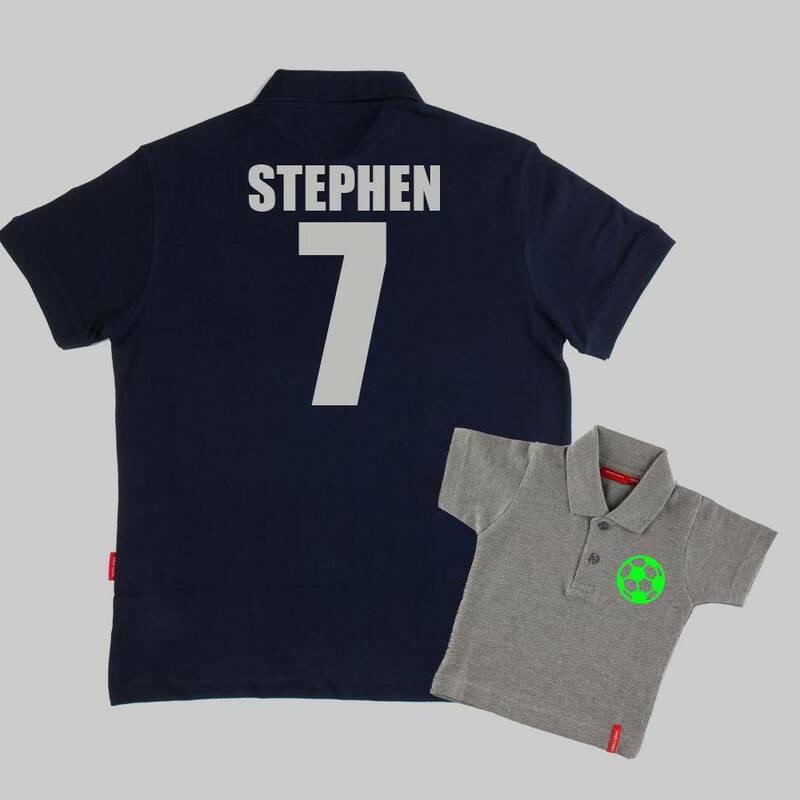 On the front of both Polo Shirts is a football emblem, and on the back is a name and a number. The name could be your family "Team" name, their own name, or nickname such as "Super Dad". It is up to you what they say, as these are completely personalised making a great personal gift! 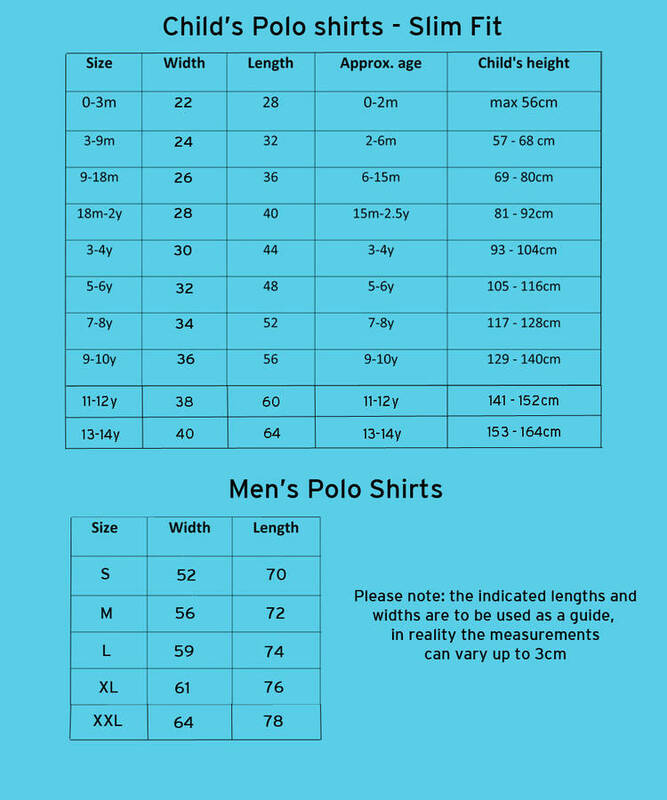 1) Design the Men's Polo Shirt: Select the size and colour of shirt that you'd like. Have a look through our photos for the size guide and to see which colour you'd like to choose. 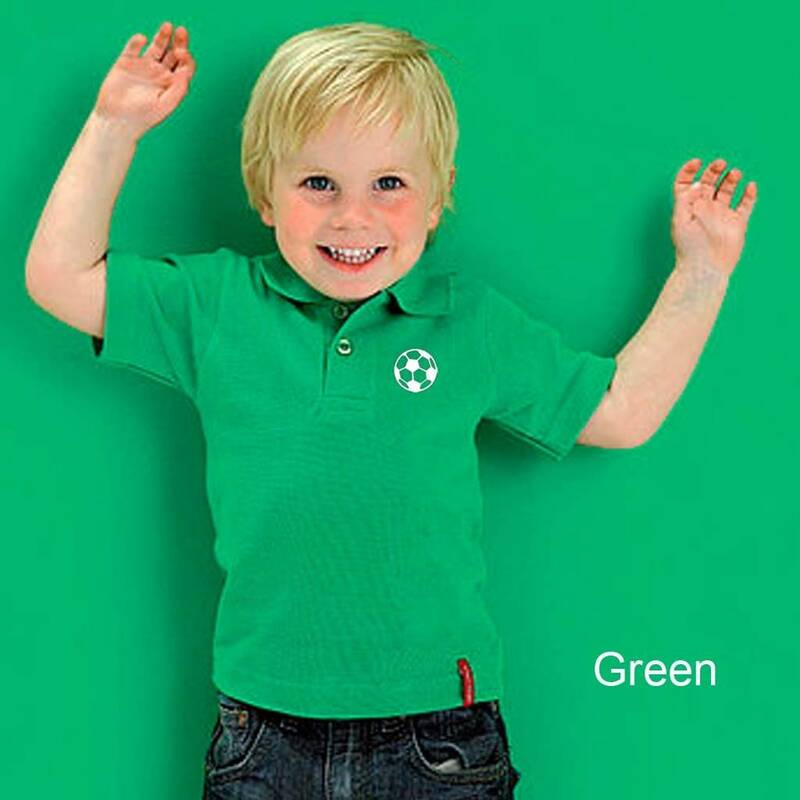 The colour of the football is the same as the print on the back. 2) Enter the names you'd like on both shirts. The adults could be Father, Daddy, Grandad, whatever you'd like. The same goes with the child's shirt. This could be their name or nickname, it is up to you! Also write in the numbers, this could be their age, year of birth, or maybe their lucky number. 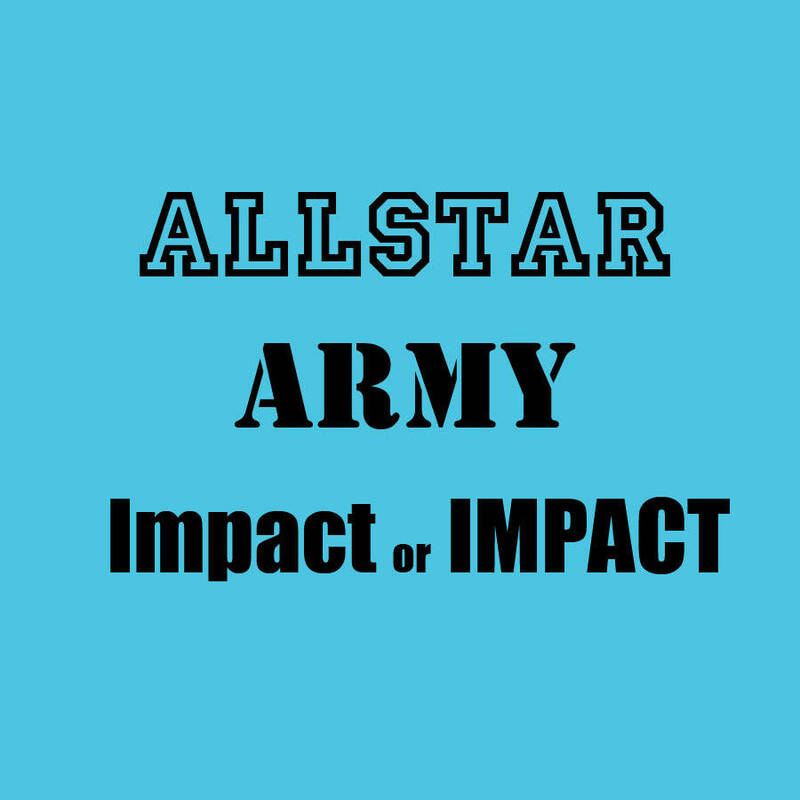 3) Select the font that you would like from Army, Allstar, and Impact. Please note: Allstar and Army will only be written in upper case. 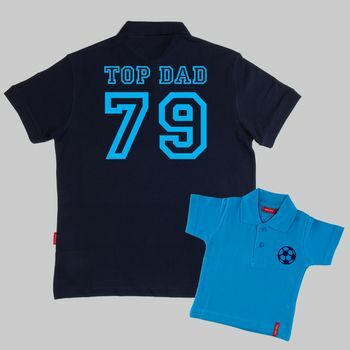 4) Design the child's polo shirt. This is exactly the same as number 1. 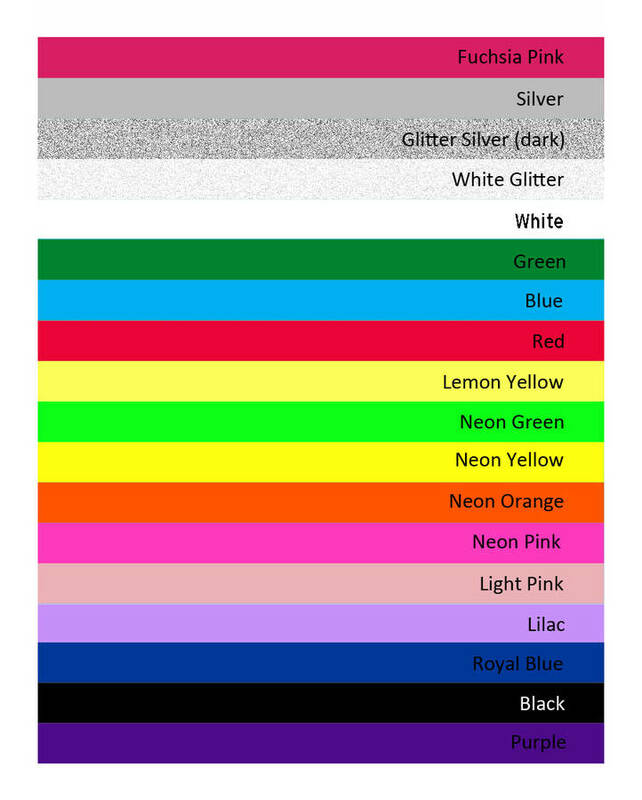 Please note that some print colours don't work together as they are too similar. These are; Black or Navy on Navy, Blue on Aqua Blue and Fuchsia Pink on Pink. 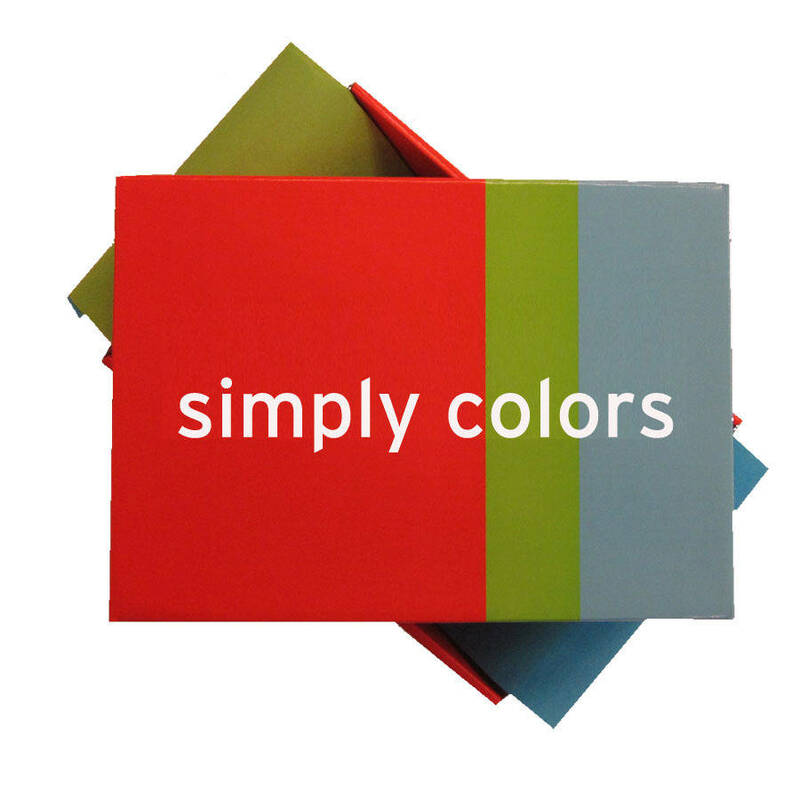 To make your gift extra special, for just £4.95 we will wrap both shirts in colourful tissue paper and place in a Simply Colors presentation gift box complete with balloon. 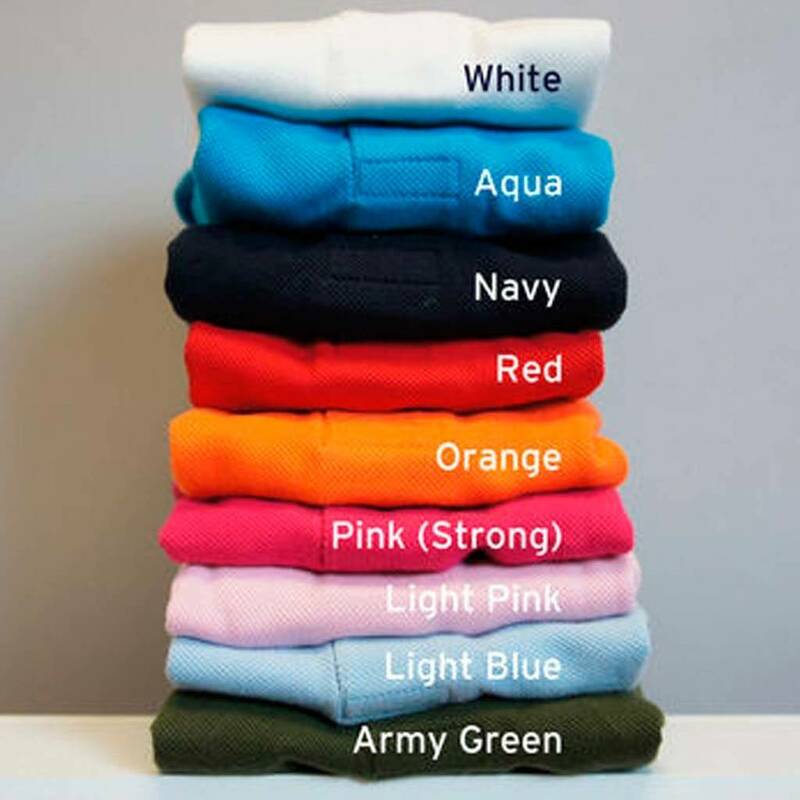 Both shirts are made from 100% cotton pique. 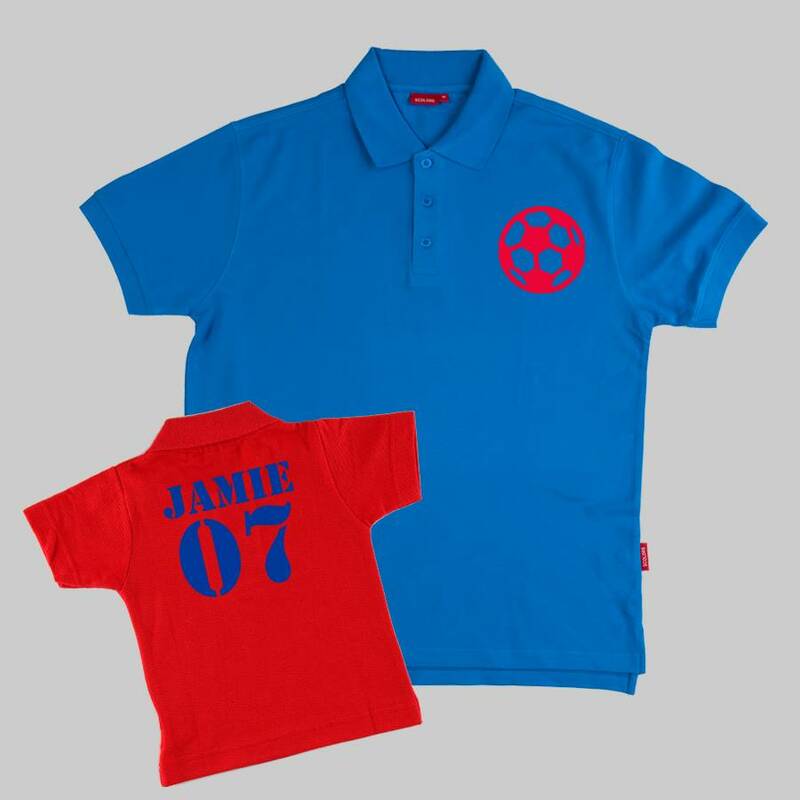 Men's polo shirt: Available in sizes S through to XXL. 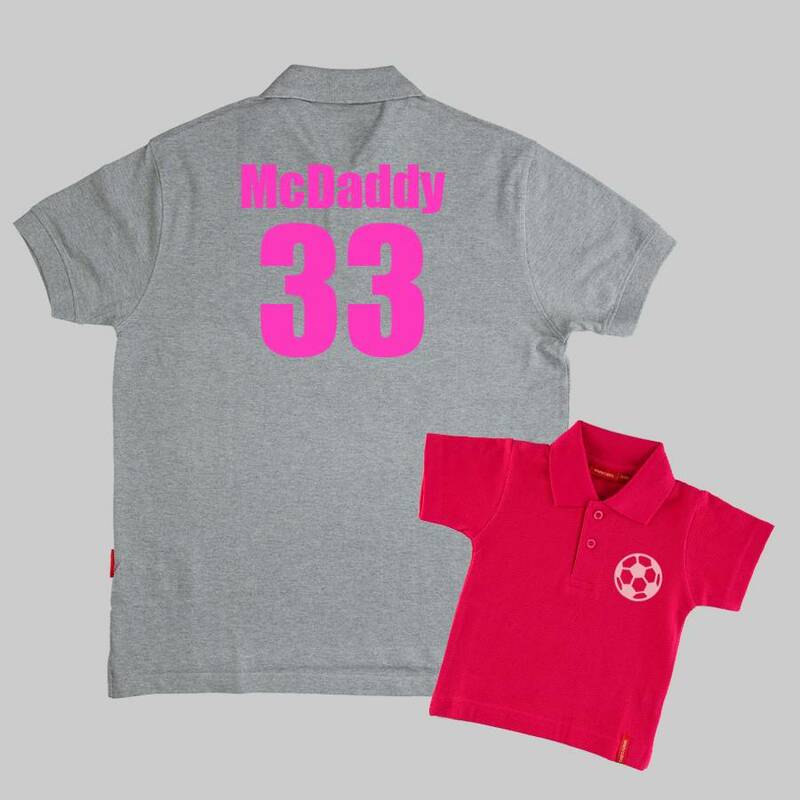 Child: Available in sizes 0-3m to 13-14y and is a slim fit.